Ahead of the Obama administration’s decision to whether to approve the Keystone XL pipeline, key environmental and labor organizations met in Washington, D.C. on Monday to offer an alternative: Repair America’s more than 2.5 million miles of existing deficient pipelines and other vital infrastructure in a sustainable way to create good, green jobs. 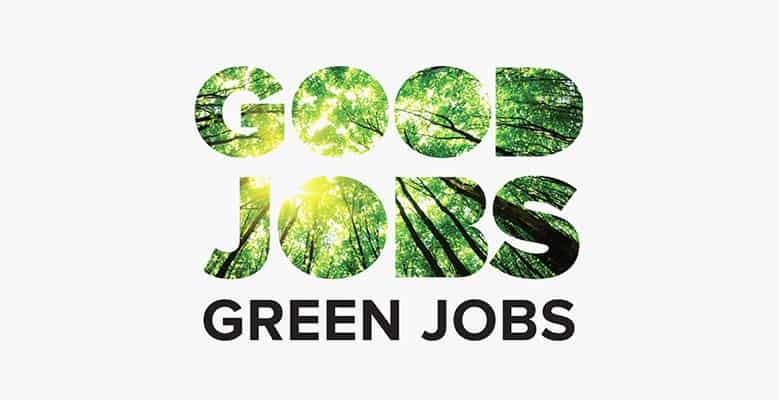 “You can have a strong renewable standard and a strong economy,” said Sen. Amy Klobuchar, D-Minn., at the BlueGreen Alliance’s annual Good Jobs, Green Jobs conference. “We move forward only when we’re willing to invest,” she added. Other headliners included Environmental Protection Agency administrator Gina McCarthy, AFL-CIO President Richard Trumka, and Sen. Jeff Merkley, D-Ore. Dozens of other congressional, business, labor, and environmental leaders were there to speak in plenary sessions and panel discussions. They gathered at the conference with a shared vision for our country—combating climate change while creating well-paying jobs, rebuilding our crumbling infrastructure, advancing the rights and safety of workers, and securing our race to the top. The theme of this year’s conference focused on repairing America’s crucial infrastructure systems—energy, communications, transportation, water, schools and other public buildings. Although we are living in the 21th century, our infrastructure is stuck in the 19th century. In fact, the American Society of Civil Engineers (ASCE) has given America’s infrastructure a “D+” grade in its most recent survey. Trade was another major theme of the conference. Last week the U.S. Department of Commerce released annual trade figures for 2013 that showed the trade deficit with China has risen 40 percent since 2009. For the fourth straight year, America’s goods trade deficit with China rose, from $315.1 billion in 2012 to $318.4 billion in 2013. That’s no record to be proud of. The latest trade-misdeal, the Trans-Pacific Partnership with its accompanying fast-track authority legislation, is a job-killing deal that is neither good for working people or the economy. Corporations and naysayers often claim we must choose between the environment and safety standards, between collective bargaining and job creation, while ignoring the facts. Currently, there are more than 3 million “green jobs.” Employment in this sector grew four times faster than other job categories. Since 2004, investment in clean energy is up 500 percent, and some companies are bringing an increasing number of jobs back home from overseas. This could not be possible without effective policies that promote green technologies and provide incentives for companies to relocate here, such as grants and tax credits. Research has shown that low-cost labor is not a major reason for companies taking jobs overseas. Take for example BMW: It manufactures its sports utility vehicles on our soil, not in Germany. America can compete. “When we work together I fully believe that the sky is the limit for the United States of America,” said McCarthy on the topic of American-made clean energy and manufacturing. She discussed the administration’s current green energy efforts, such as using the Clean Air Act to limit carbon emissions from new power plants. McCarthy said with pride that the EPA will announce new regulations on existing power plants later this year. The theme of the conference, and the BlueGreen Alliance’s work, is that we can solve our economic and environmental crisis at the same time with smart policies, but only if we work together.